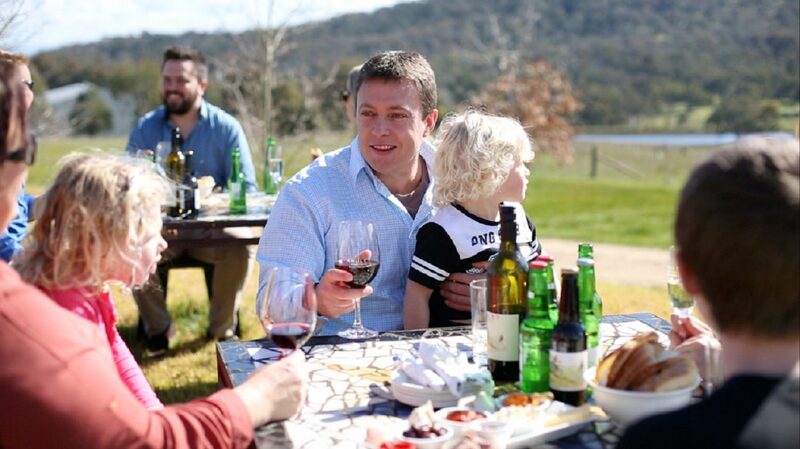 Perched in the foothills of Beechworth, Amulet Wines is a family owned vineyard that has handcrafted a vast and diverse range of premium Italian and French wines on site for 17 years. The menu features contemporary dishes using only the very best regional produce and the glass walled cellar can provide the complete experience for your function, wedding, or any celebration. Amulet Wines is the perfect venue for your special day. The great versatility of the venue provides a range of options for you, with the convenience to accommodate your ceremony, photographs and reception amongst the splendid vineyard and idyllic views. Amulet Wines is the perfect location for that intimate and memorable occasion. Amulet Wines is a short detour on the Murray to Mountains Rail Trail. The perfect place to take a break from the bike, enjoy a relaxed wine tasting in the modern cellar door, and enjoy a bite to eat. Traditional Highland Games are held bi-annually. It is a great day out for the whole family. Amulet is the home of Beechworth Cider, producing premium cider from apples sourced locally. Stunning views, stunning wines, stunning food. Lunch is available Friday, Saturday and Sunday or by prior arrangement.